Santa was really good to me... I hope he was good to you as well! I hauled 13 polishes and a lot of beauty loot that I'll post about in the next couple of days. 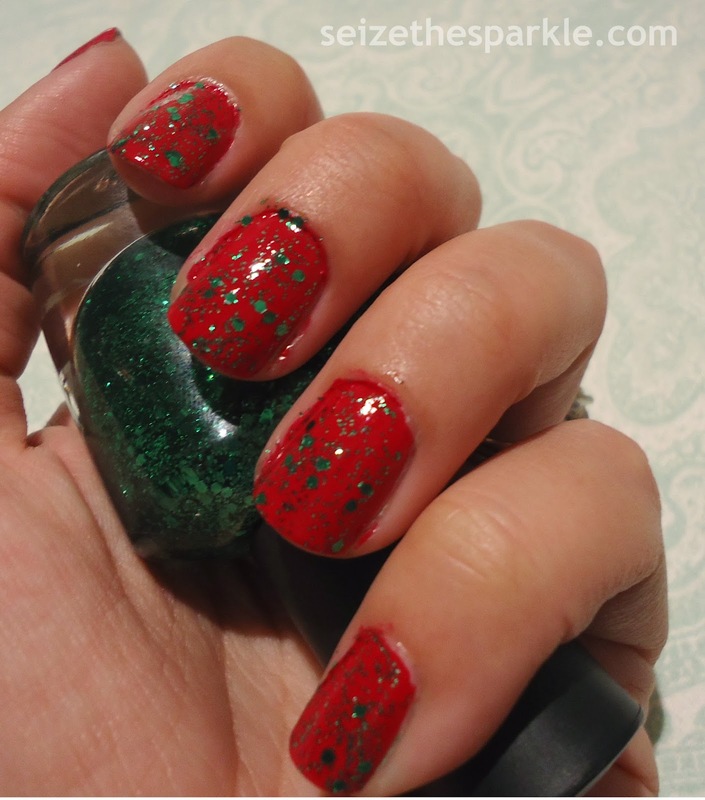 This particular polish was not from Santa, though... It was gifted to me by my fabulous favorite sister... I think I've mentioned her before? Well, in addition to a whole lotta Lush, she gifted me my first Illamasqua shade, and I can't waaaaaaaaaiiiiiit to get more! 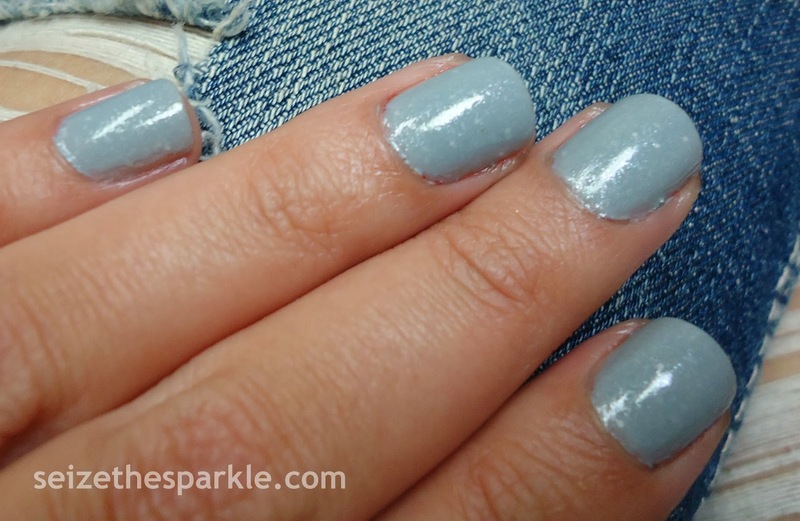 Illamasqua describes Raindrops as a sheer light gray with a jelly finish. 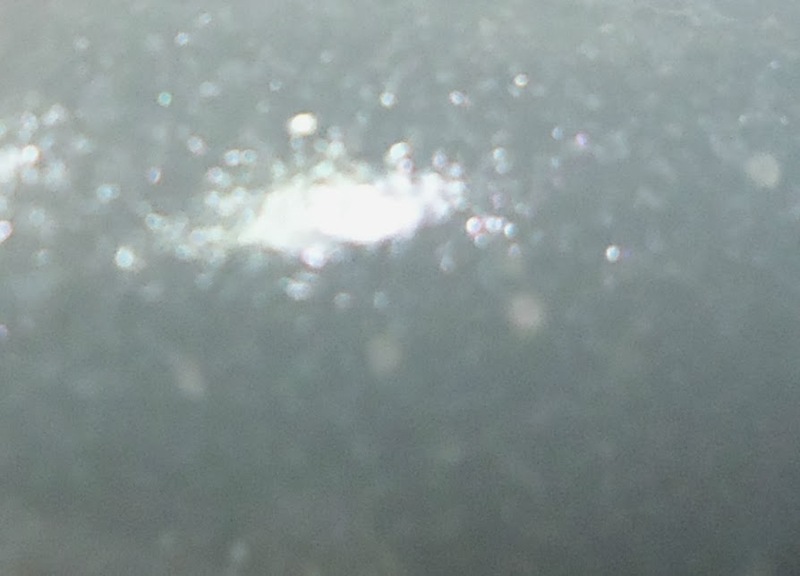 It's a pretty blue-leaning gray that is packed with silver shimmer and spattered with extra small silver flakes. It took 4 coats to build up to the finish you see in the pics, but it was 4 coats well worth it. The jelly finish is super milky and squishy all at the same time! The formula of Raindrops is great, the brush is easy to work with, and the cap isn't awkward to hold. What do you think of Raindrops? Christmas Eve and Christmas Day were super hectic. 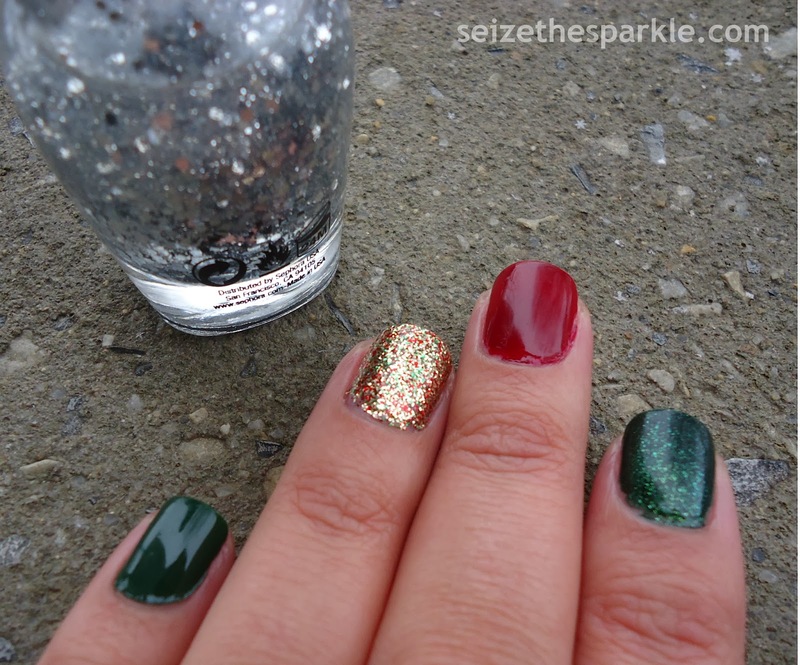 I figured as much ahead of time, so I kept my Christmas Day manicure really simple. If you follow me on Instagram, you already saw it. If you don't follow me on Instagram... you totally should. So, Revlon Italian Leather is a really pretty polish. 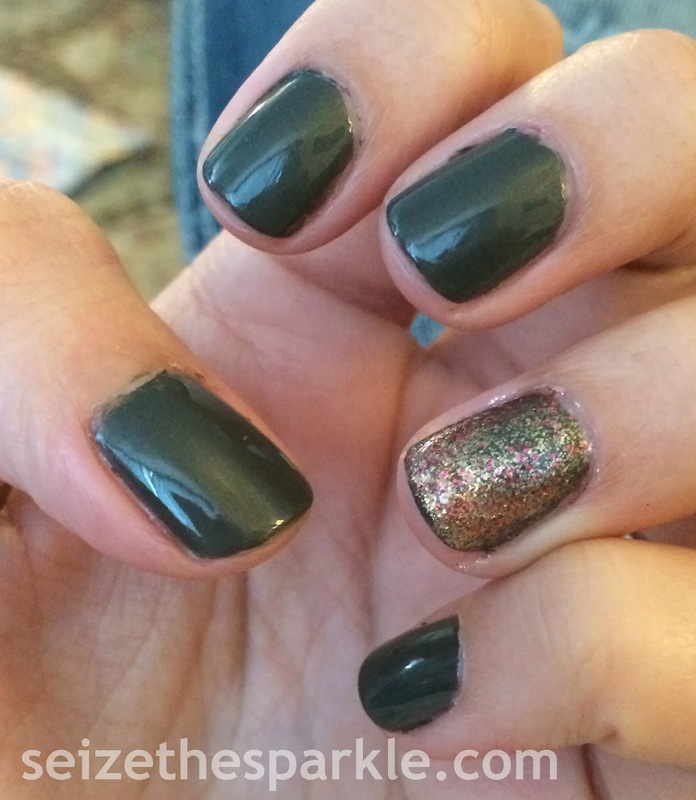 It's a slightly yellowed dark gray polish with tiny little flecks of golden shimmer. It's a gorgeous shade, one of my favorites from the Parfumerie Collection. I've definitely worn it before, and I'm not really sure why I haven't posted about it. Oops! 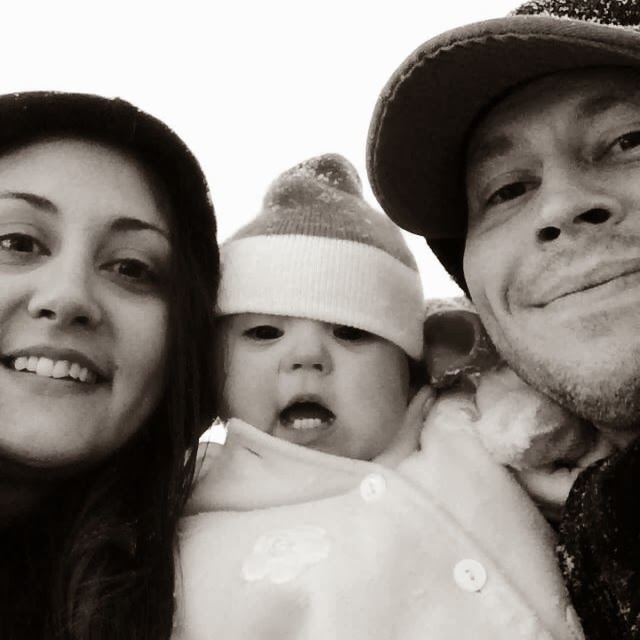 From our little family to yours... Merry Christmas! 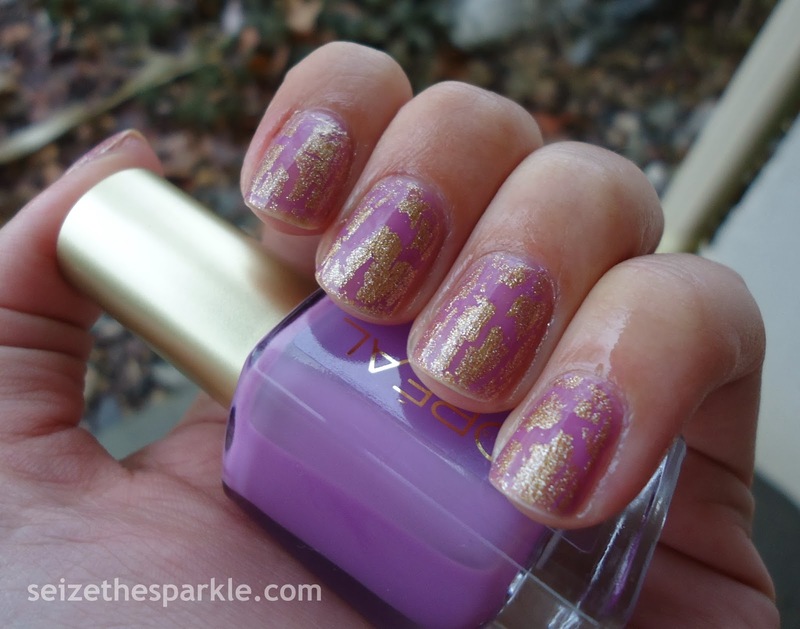 So, I found a couple of polishes online that looked like good matches for Radiant Orchid, and those were the ones included in my guide. 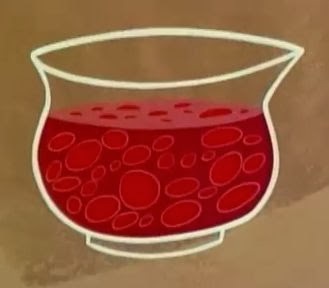 Lilac Coolers slipped my mind and didn't make the list, but it definitely should've been included. It took four coats to build up to the color you see in the pictures. After that, I added a super thin coat of Tarnished Gold for instant nail art. Crackle polishes typically dry matte, so it took two coats of clear and a coat of Good to Go to make this layering really shine the way I like it! I know it's not a perfect match, but Lilac Coolers is definitely right there as far as shades go. 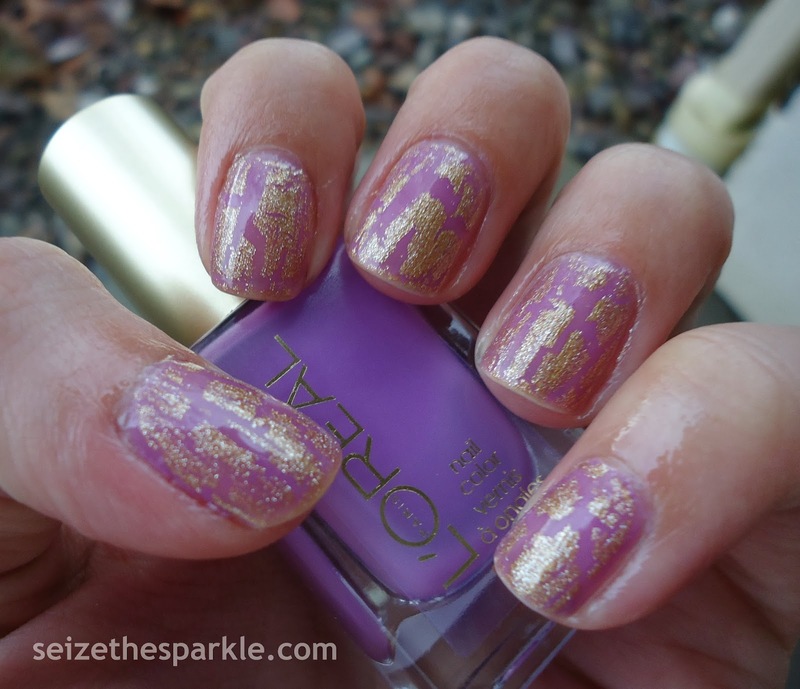 It's from L'Oreal's Summer 2013 Miss Candy collection, so it's still reasonably accessible. Some of the Radiant Orchid contenders on my list were featured in past collections (like 2010 past) and aren't easy to find anymore. I've seen Miss Candy polishes still in stock on the shelves at my local WalMart. 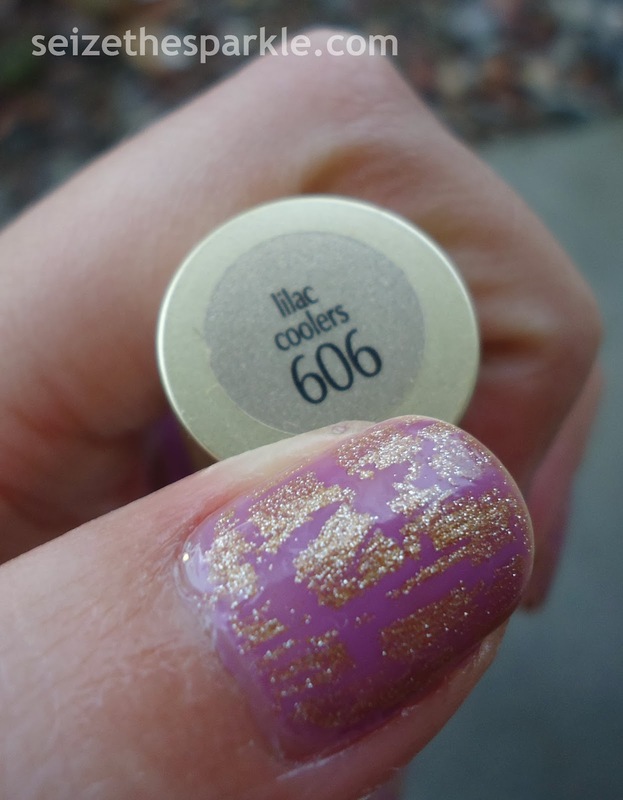 China Glaze Tarnished Gold was actually a recent find at Big Lots, and they had quite a few in stock. I really like this layering for Christmas, but I'd be remiss if I didn't mention it as a contender for New Year's Eve. 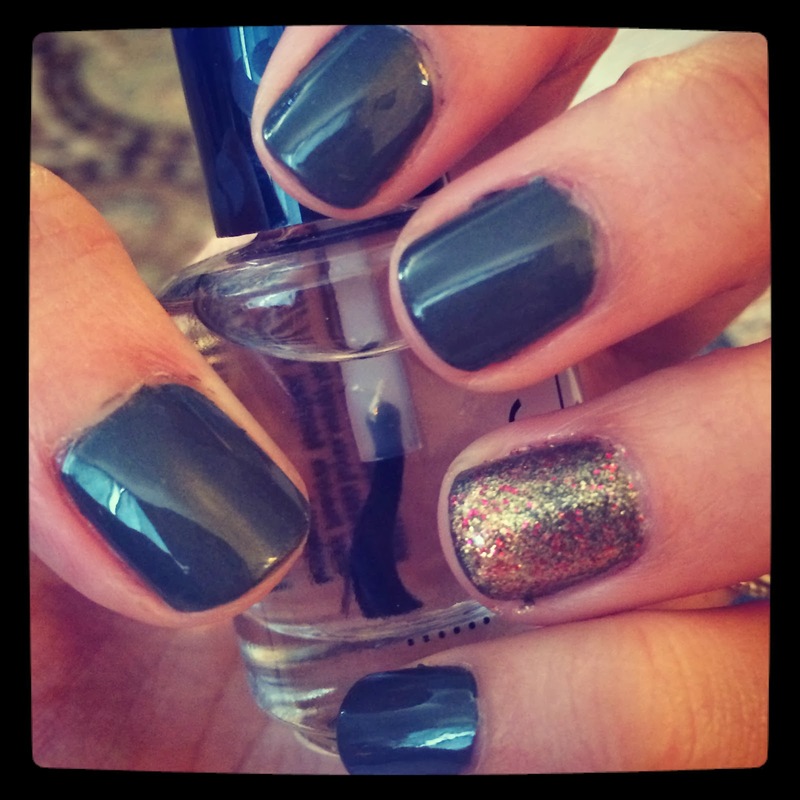 What better way to ring in 2014 than with the Color of the Year on your fingertips? Okay... maybe add in a glass of something bubbly and a smooch from the one you love, and it sounds like the perfect night to me! 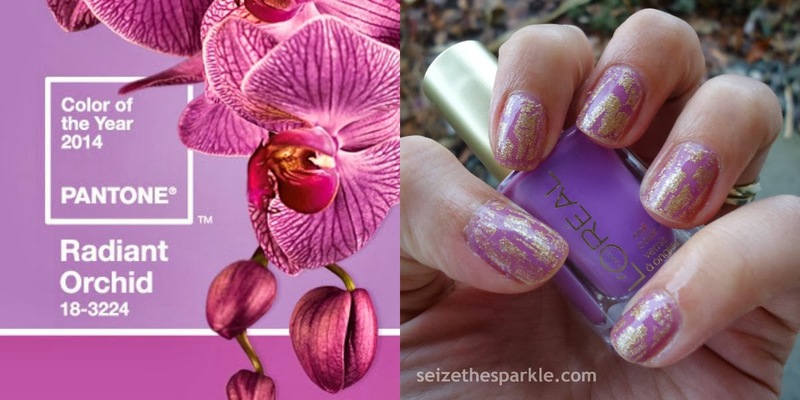 Would you rock Gilded Orchid? 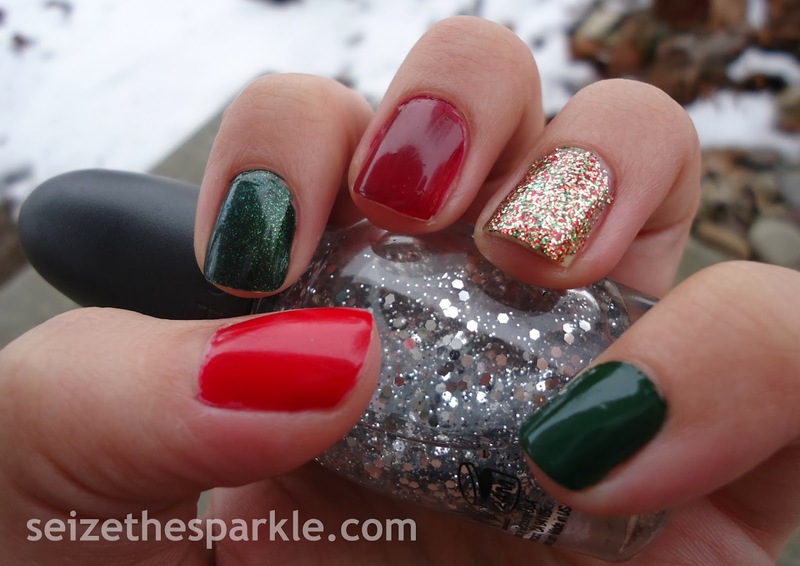 I'm still avoiding red and green on my nails... does it show?!? Instead of focusing on warm Holiday colors, this layering emphasizes the cooler tones of Winter and the Christmas season. Ice, snow, gray skies... Brrrrr!!! Jack Frost would be proud! What would you layer Snow Globe over? 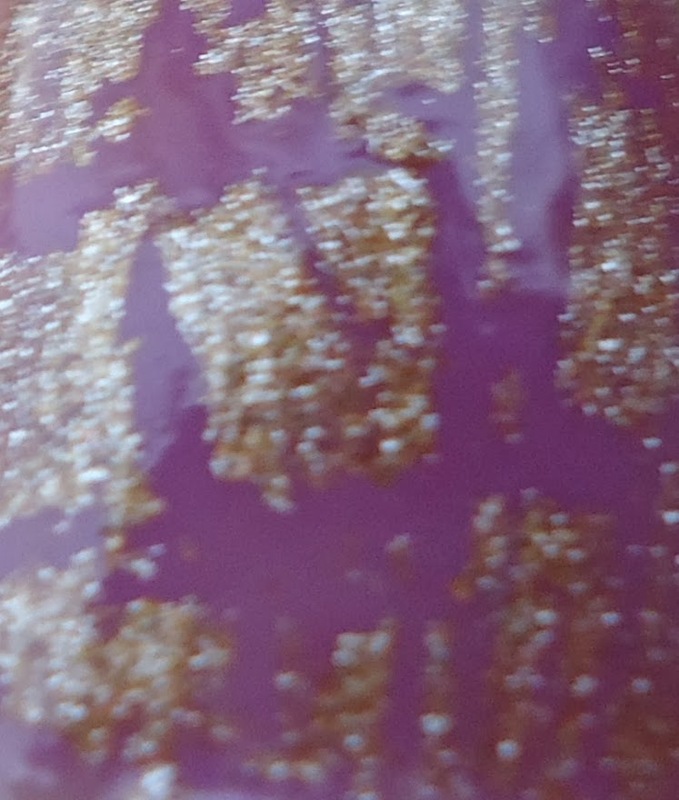 I've been getting into the smaller glitters in my collection, so it's no real surprise that I picked Big Money for this sandwich over Sugar Plum Faeries Gone Wild, Are You Hoppy, and Eutopia. 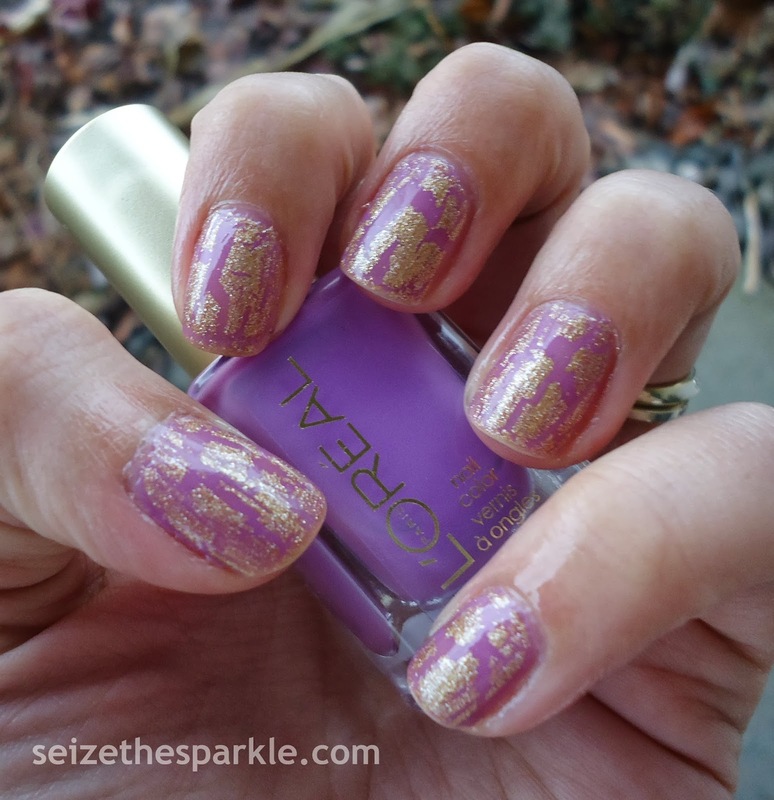 Sally Hansen Big Money contains fine champagne-colored glitter sprinkled with small lavender glitter in a clear base. 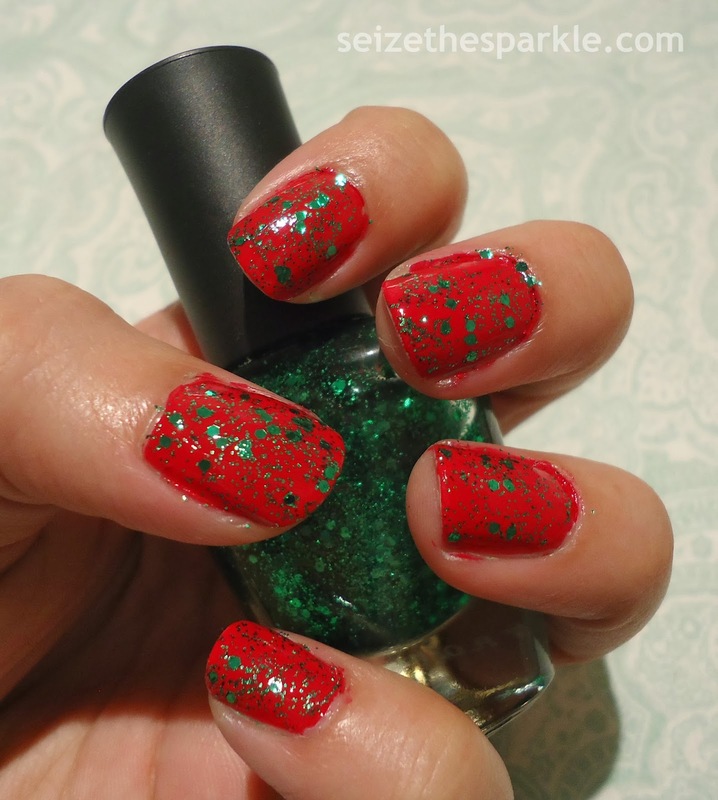 Glitter payoff is great... what you see in the pictures above is just one coat! After the glitter, another coat of Katherine easily topped off this sandwich. 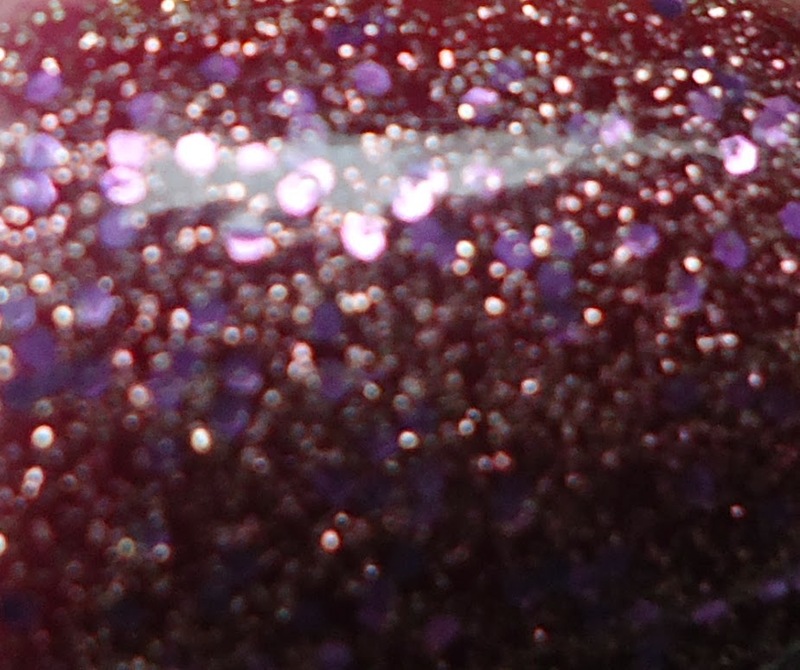 It went on evenly and gave the glitter in Big Money just the right splash of raspberry. It's pretty, plummy, and totally in the running for Christmas Day bragging rights! 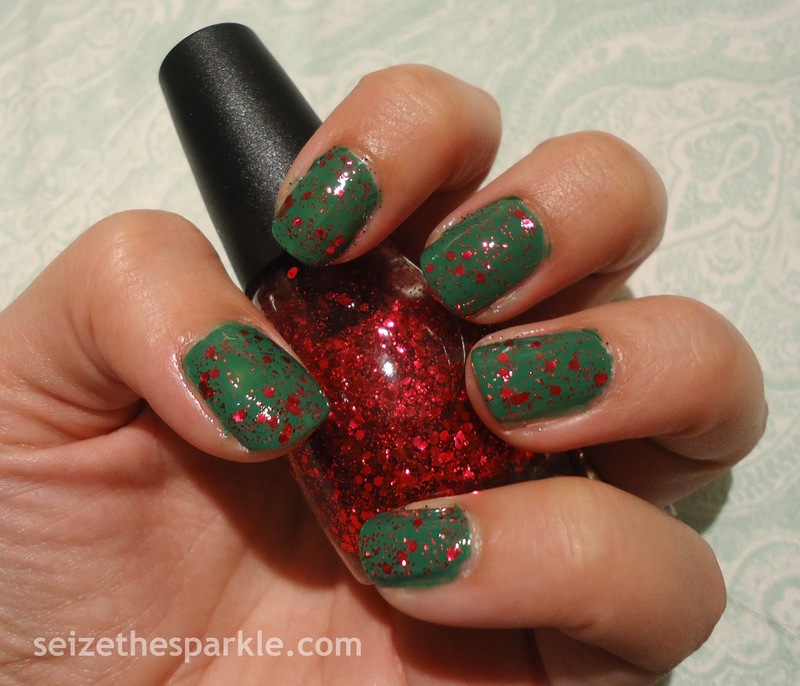 What do you think of this Jolly Glitter Sandwich? I wore this manicure for quite a while. It was at least 4 days, possibly 5. (That's a long time for me.) 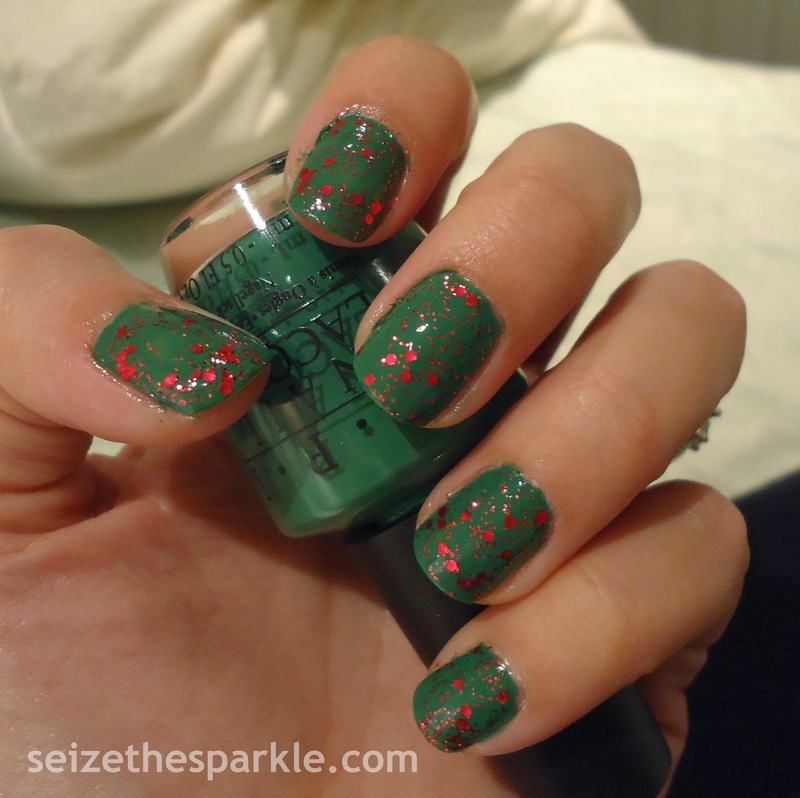 I didn't set out with the idea of using all China Glaze polishes... it just happened to work out that way! And if you're humming, oneofthesethingsisnotliketheother... dingdingding! You are correct!!! 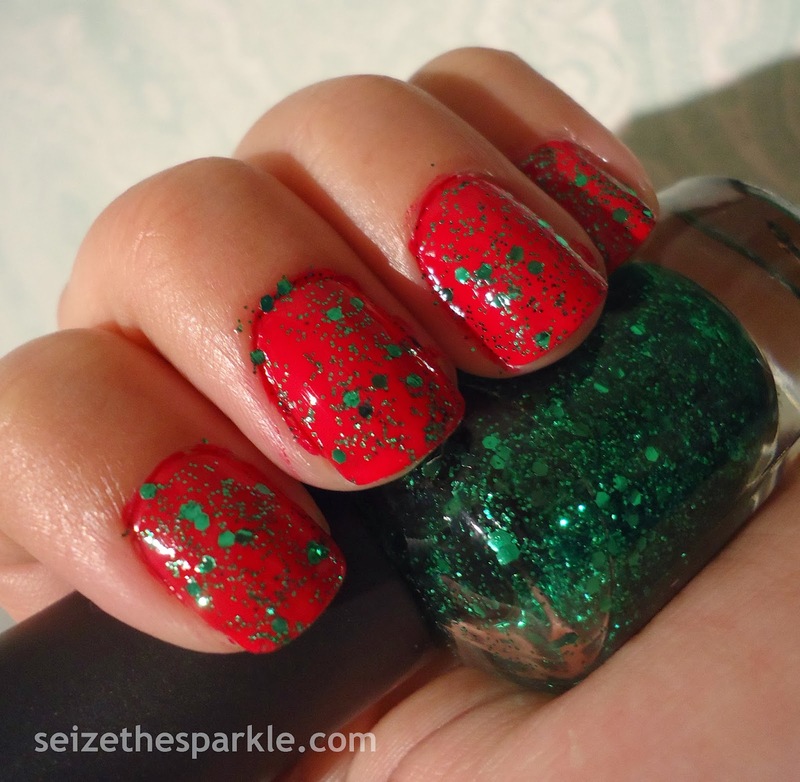 Ravishing Dahling is the only polish that wasn't part of the Holiday 2011 "Let it Snow" Collection. I really like the way this turned out, and it was fun to wear, too. So festive! Although, I would probably replace Holly-Day with a lighter green. 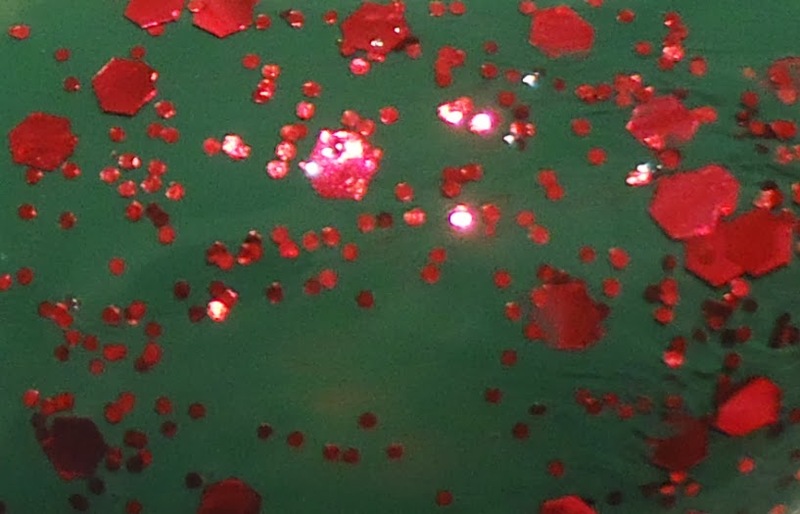 I wasn't expecting it to be so close to the shade of green in Glittering Garland. Oh, well. Can't win 'em all, right? 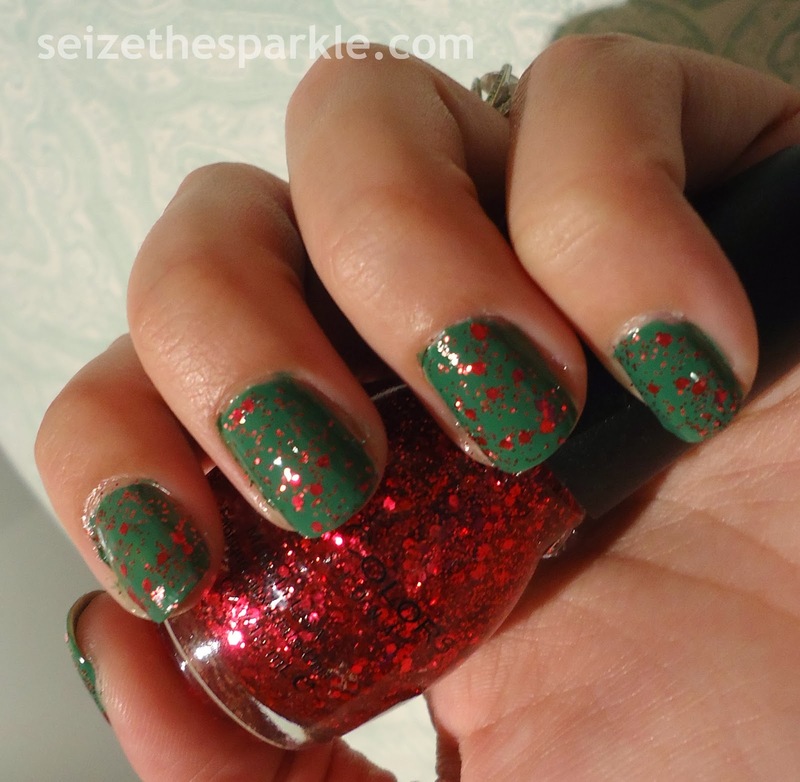 I don't wear skittle manicures that often, but the concept really works when it comes to Christmas nails. I might do another one for this series... maybe something more winterish/wintery (take your pick) next time. I'm thinking silvers, blues, possibly white, if it decides to cooperate... White polish and I have NAWT been getting along lately. I'm in search of a non-streaky, self-leveling one. Any recommendations? Please and thanks if you do! 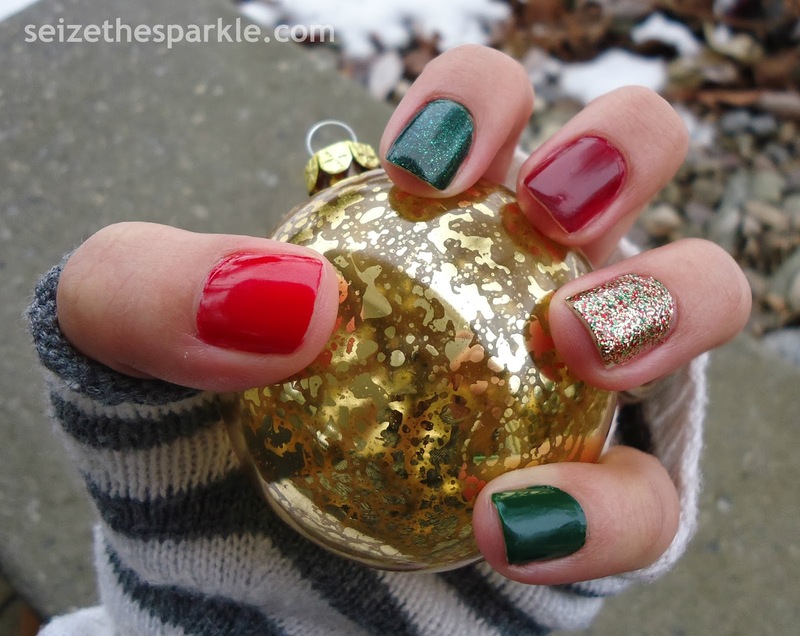 What colors would you use in a Christmas Skittle mani? If I recall correctly, my first experience with Lush was courtesy of my sister in the form of their Pink Bunty... and I was hooked. I definitely enjoy a long soak in the tub with a book and a glass of wine. I'm obsessed with their bath bombs, but I also love their bubble bars and bath melts. I've got quite a list of what I like and what I'd like to try, but mainly... it's alllllll about the bath bombs. Bomb-bid-a-bomb-bi-dom-bi-dom-bomb. Try one. You'll lurve it, I promise! So, I'm still not sure how I feel about this pairing. It's a more demure accent manicure, at least where I'm concerned. 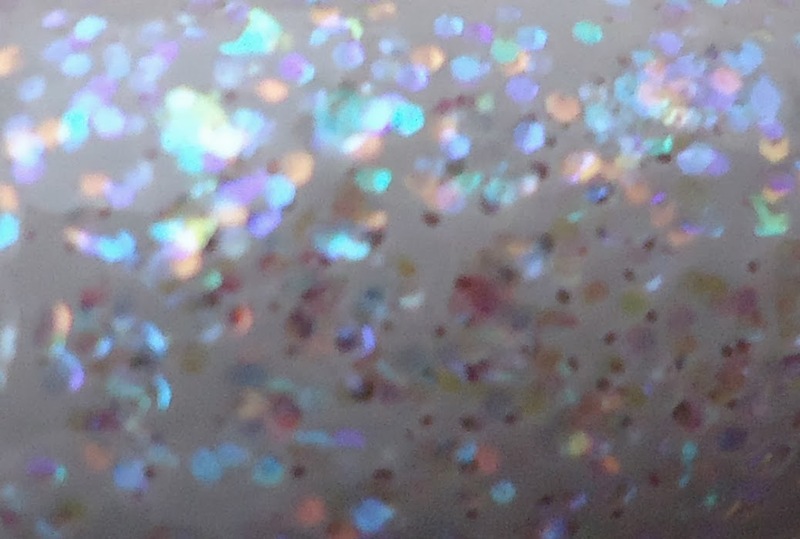 I wanted to stick with the glitter/metallic accent nail, and thought that pairing it with a neutral could be super pretty. The above pics were taken in artificial light, and for some reason, my camera just did not want to capture decent pictures. I was in bed sick all day yesterday, so... Can I blame it on that? Awesome. 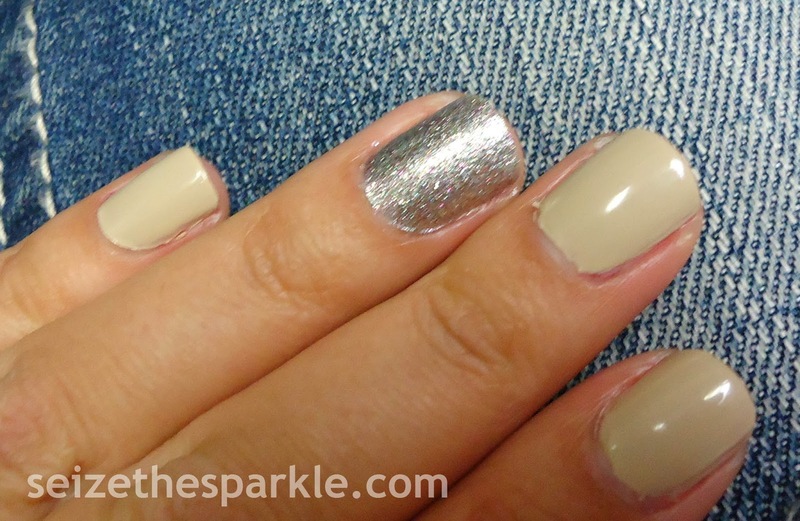 Bare Bones is one of my favorite neutral polishes. It pairs with my skin tone really well. I was definitely thinking sugar cookies while I was painting my nails. Shadewise though, Bare Bones definitely leans more towards oatmeal or wheat grains. And I have definitely never used silver icing on sugar cookies... Is that even a thing? 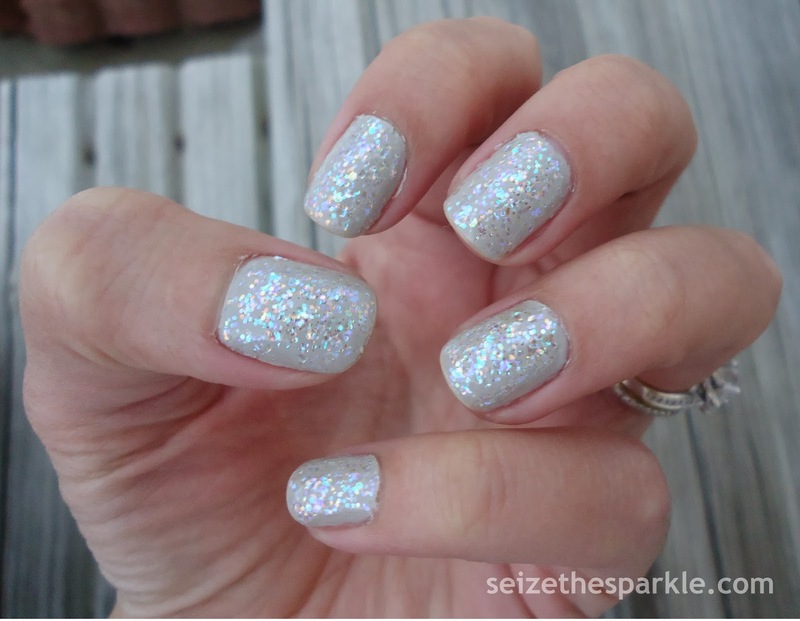 Charmed is a really pretty silver glitter with sparse flecks of multicolored glitter. 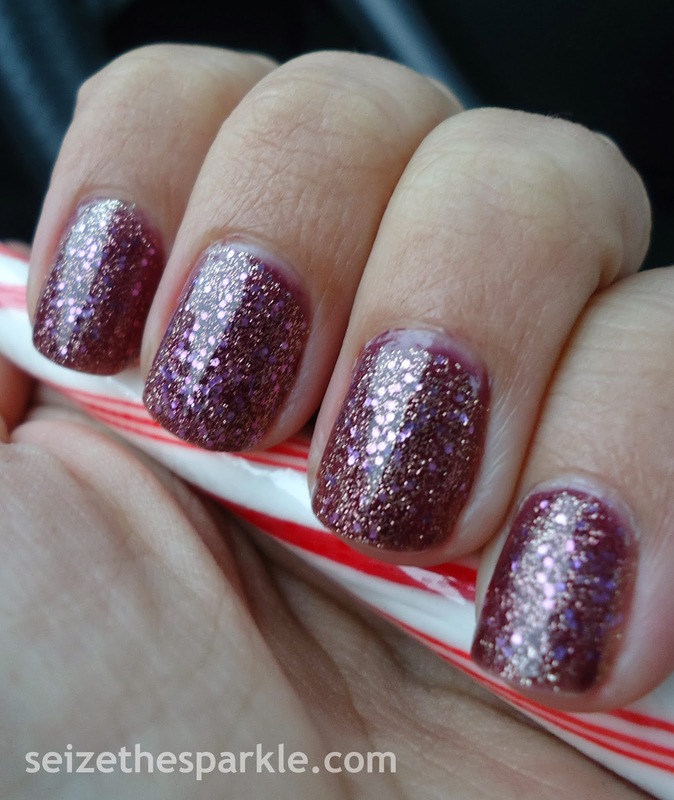 It's very different from the other fine glitter polishes in my collection, and I'm definitely glad I got to use it in one of my Holiday manicures. 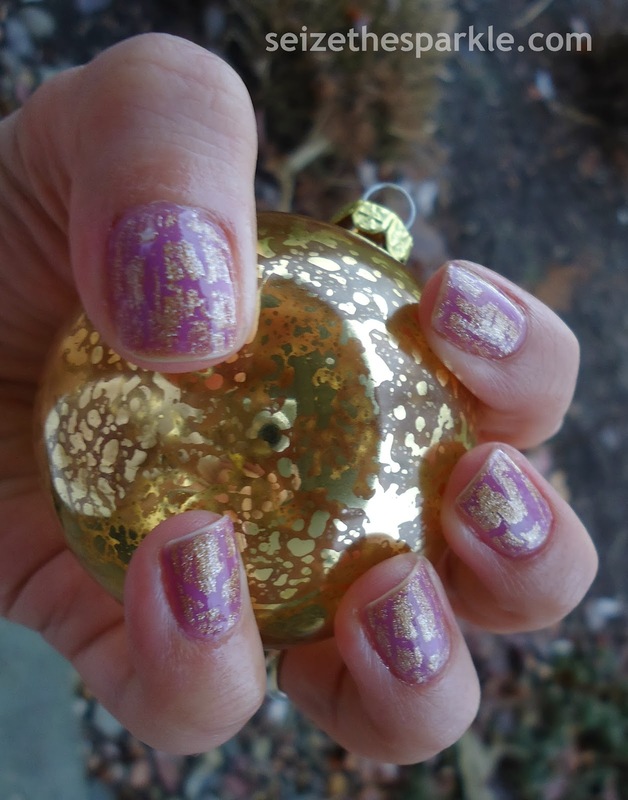 I feel like I gravitate toward gold glitter polishes this time of year, so Charmed was a really nice way to mix it up. Would you wear Charmed Wonderland?